Hi steemians, I haven’t updated my travel post for a long time. 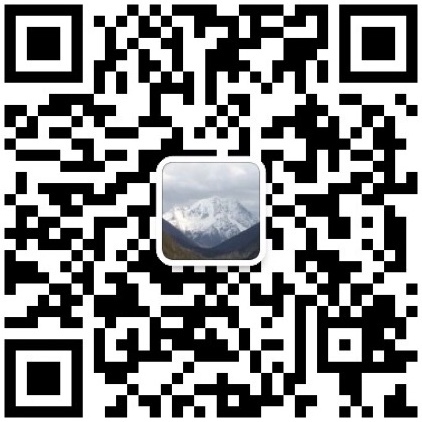 I will continue to share my hiking trip of Altay, Xinjiang. Hemu village was our 2nd station of the hiking trial. There are only three villages that concentration of Tuwa people in China. Hemu village is the biggest one of them. The most striking things about Hemu village is that it is a unique natural and cultural landscape composed of wooden house, herds of herdsmen, snowy peaks, forests, grasslands, blue sky and white clouds. We stayed at the village for a day to catch the beautiful photos. I think the autumn here is the most beautiful time for me. Actually, I have been here twice. This was the second time here at autumn because the impressive beautiful fall colors. Hemu village is located in a large river valley surrounded by high mountains. Snow mountain is easier to see in the spring, autumn, and winter because of the higher latitude of the geographical location, though the elevation is not particularly high. You can see beautiful scenery everywhere when you walking in the village. The snow mountains is located in the other side of the Hemu river. People can walk across the wooden bridge over the river to the mountainside from the village. There is not far away from the village. But if you don’t like to walk and climb to the hill you can hire a horse to ride there too. Maybe you could see some people in the button of the above picture. Most of visitors and photographers would like to go to there to overlook the whole village. Hemu village will present her amazing beauty to you when at sunrise and sunset. Sometimes, smoke is curling up from the kitchen and a thin mist floating above the village in morning. The morning sun shines through the mist on the village. How a beautiful picture! Unfortunately, I didn’t catch it due to the reason of weather. To look for some photographic materials we walked along the edge of birch forest. Tuva huts and cattle pens are scattered randomly around the village. With the birch forest as the background we easily caught some beautiful pictures. There is a wooden walkway on a hillside near the village exit. On the hillside we could overlook the village too. The whole village was surrounded by forests of golden birch trees. And the beautiful Hemu river lies on the edge of the village quietly. It looks so peaceful and mysterious and far away from the hustle and bustle of the world. I didn’t catch the landscape that I expected. But travel is always full of surprise. We still have to leave according to the plan and go to Burqin county to transfer to our next destination. I had knew that was very beautiful too on the way from the village to Burqin county. But the way to our next station is too long. We decided to charter a car from local people to take us to Burqin county. So we could choose to park anywhere when we needed to take photos for the landscape. The road to the county seat still winds through the mountains. We can see the autumn birch trees, grassland, pasture, river all the way. We felt like we were driving in a painting. The road somewhere is at about 400 meters above sea level and sometimes goes up over 2,000 meters above sea level. If you encountered a sea of clouds you could experience drove from below the clouds to above the clouds with the road winding up the mountain. When you went up above the clouds you would see the sky open wide suddenly. The sun is shinning and the clouds just under your feet. In the distance, it looks like the colorful mountains floating on a sea of clouds. It’s very special experience. In fact, Hemu village shows her beauty not only in autumn, but also in summer and winter. This is also the reason why so many photographers in China have been attracted to here. All photos are original and taken by me.